Pepcraft is a server where you can grief and pvp. 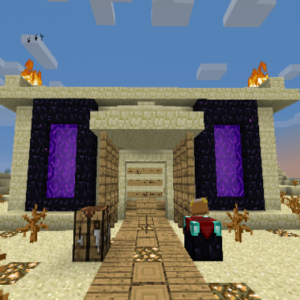 We have fun warps like archery, and a pvp arena. Come join Pepcraft and let the fun begin. There are 4 Positive and 4 Negative reviews of “Pepcraft” sorted by most recent. i can explain why people are getting banned and stuff, it is because harrybum is a bad OP who bans anyone who messes with him, pepis3′s brother is okay overall but sometimes goes and peps account and pisses people off but nothing too serius. as a player on the server, the worst i have seen is someone no clipping. So the only problem is most likely Harrybum. the video was of harry bums brother being killed and the player killing both of them. It is down right now and i am not sure if it will be back up soon but the problems could range from personal problems to money. He recently got a new server host to fix some lag so that might be the problem. completely corrupt staff bans if you kill any of their friends in pvp. they give their friends hacked items and money to pvp with. server lags most of the time. Server is run by a small clique of grade school kids. Upset them in any way and you get banned. Its a great server, lots of PVP and the community is superb! This server is kickass, Everybody is nice for the most part. 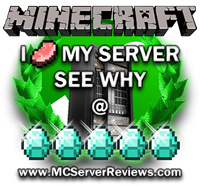 This is an awesome server. Everyone should join this server. It is very fun. 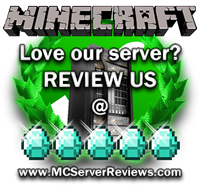 Also please rate the server on this site. Thank you. By clicking submit, you agreed to the rules and are using or have played on Pepcraft.